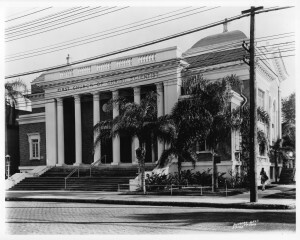 In 1908, the First Church of Christ, Scientist was organized in Tampa. Seeking an appropriate location, in 1920 the congregation acquired its present Hyde Park site for construction of a new building. The new building was built in the Classical Revival style, the most prevalent architectural style in Hyde Park’s religious buildings. The building’s interiors are original and feature simple, yet elegant, craftsman style architectural details. On January 24, 1926, the first service was held at the Grand Central Avenue location. 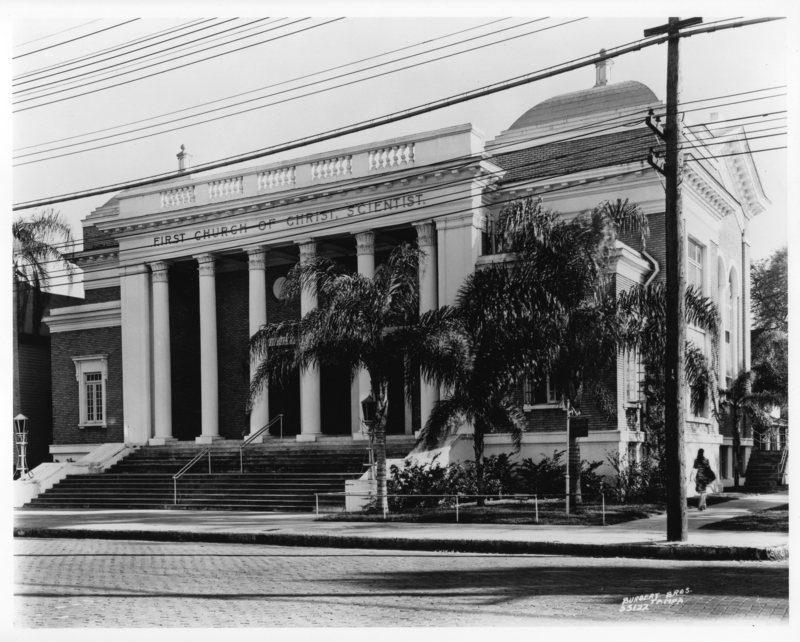 Dedication services were held on March 5, 1944, after the building mortgage was satisfied.